There is nothing like comic book character study to unleash student creativity. How many characters? Story length guides creative teams here. Once you and creative teams reach consensus on the number of frames or pages for their projects, encourage them to determine how many characters they need to tell their story. It helps students to reflect on “characters” they have already met, in terms of personalities, such as the top athlete, the pest, the slob, the fashionista, the brainiac, the joker, the artist, the vampire, and so on. Each personality has a set of characteristics the creative team can sink its teeth into and modify from that point. What characters do you remember from books you’ve read? Or films? Who will your comic strip feature as the star? As the villain? What characteristics do each share? Strengths? Brains? What pits them against each other? How did that begin? Will one character possess some superpower? What might it be? How is this power used? Is it hidden from the view of others? Maybe the comic is the biographic tale of a famous musician with one main character and no real villain. What incidents in the musician’s life spurred determination and desire to succeed? What difficulties needed overcoming? What problems required solving? Why is this musician important to the music field? Once the brainstorming begins to slow, it is time to put the list to the test. 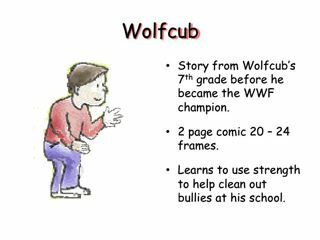 Since this story will result in a comic, encourage teams to create an example of how each characteristic can be illustrated. This guidance keeps focus on the graphic telling of story. Sometimes a character trait needs to be acted out. For example, how do you portray someone who is shy? The creative team often comes up with more ideas for character illustration when it studies character traits through a mini-improvisation! As for names? Ages? Gender? Teams fill in and modify these details at many points during character and story development. Step it up? Each creative team can present a graphic character study to show its early idea of how each character may appear by sketch on paper or transparency or graphic presentation software. 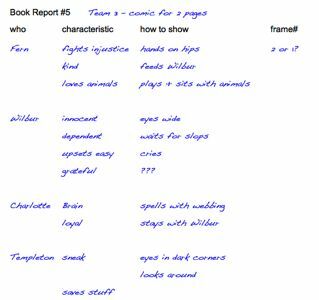 Return from Comic Book Character Study to Comic Books hub page for even more comic book teaching ideas! Return from Comic Book Character Study to Real World Content Advantage home page.